Fats are an important part of a healthy diet and essential to our body, but not all fats are created equal. There are "bad" fats, which include trans fats that are found in foods like french fries and donuts. And then there are "good" fats, such as Omega-3s. 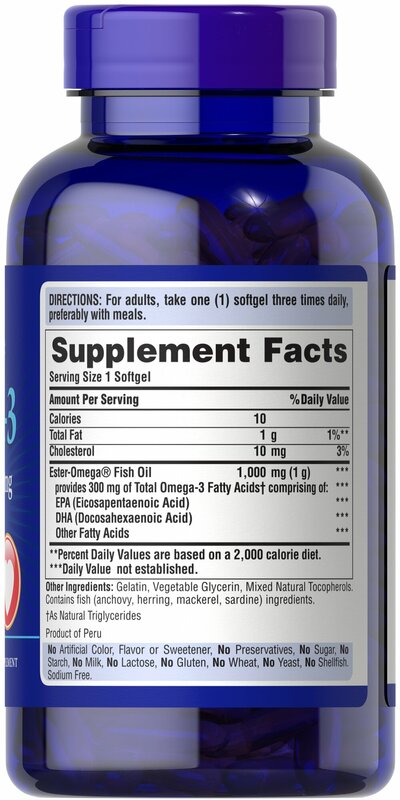 Omega-3 Fatty Acids are in fish such as salmon, anchovies and trout. 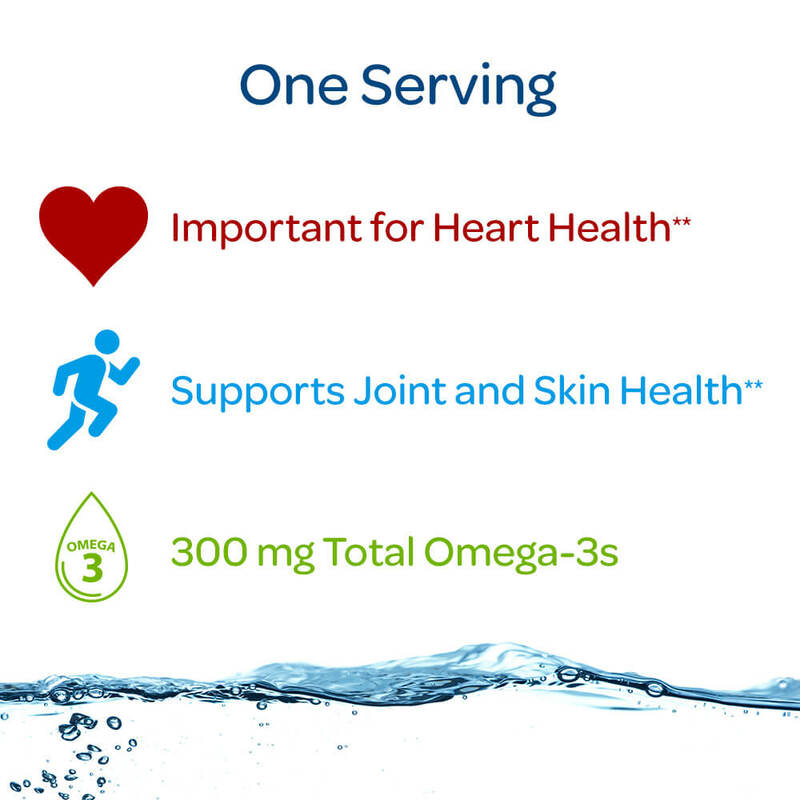 The American Heart Association recommends at least two servings of oily fish per week, but Omega-3 Fatty Acids are often in short supply in our diets. 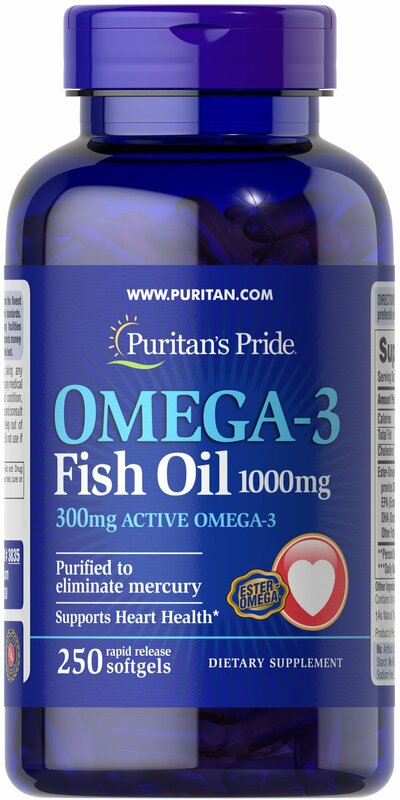 Puritan's Pride Omega-3 can help supplement your diet. 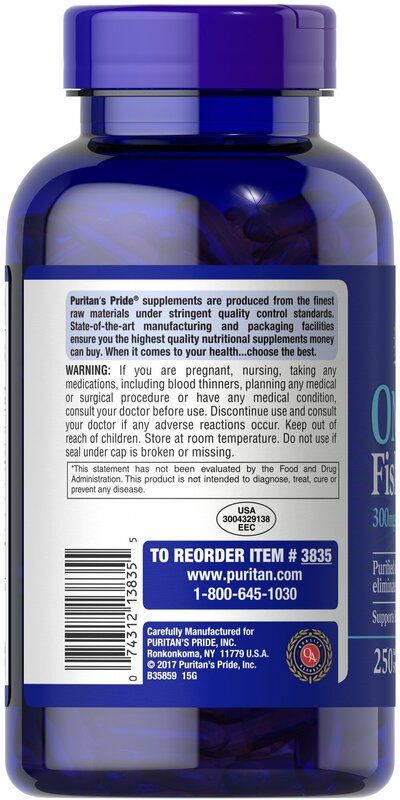 Plus, they are enteric coated, which means that the active ingredients bypass the stomach and are digested in the small intestine, minimizing any fishy aftertaste. They are also purified to eliminate mercury.